Fifa are fond of telling us that football is a family. If so, Mark Lawrenson is the grumpy uncle one was compelled to invite to the gathering. But rather than simply sticking him in a secluded armchair and keeping him quiet with a gob full of Quality Street and cooking brandy, the BBC has let him loose on World Cup television viewers. Lawro has so far done two matches for BBC TV; reaction has been mixed. Which is to say, some people have hated it, and other people have really hated it. Or that has been the online response, anyway, with social media commentators vying to one-up each other with their spite and rage at his contributions to the France vs Australia and Belgium vs Panama matches. The charges against him are that he moans, makes bad jokes, offers little in the way of tactical insight and does not display appropriate gratitude for his privileged part-time job. "But I've got my bad points as well," one can imagine the former Liverpool man quipping. In an age where some people want granular analysis of football formations, Lawro is a relic. For him, a Continental will always be looking to go down easily, a Latin is a master of the dark arts, the Germans a well-oiled machine. "Dislocated shoelace," was his tart assessment of an exaggerated injury in the France match. Young men who spend 35 hours a week playing football video games simply will not stand for a co-commentator who cannot tell you the reserve right back's inside-leg measurement. A generation raised on football as hype juggernaut does not wish to be told that a match is rotten, and especially not by a baby boomer well paid to sit there carping in the plush seats. These are all fair complaints, albeit that they are often expressed with unnecessary vitriol. But rather than rage, would it not be better to enjoy Lawro for what he is: a unique and peculiar visitor from another footballing time. Much of Lawro's comic and conversational sensibility is rooted in the 1970s or 1980s, a time when a man dressing up as a lady was the funniest thing of which the human mind could conceive. This is punditry as panto, a great big hairy bloke in a tutu. There is a camp quality to Lawro's eye-rolling, withering asides. He belongs to a tradition, surely unique, and arguably specifically to the North of England, of a peculiar sort of masculinity: a mixture of machismo and fruitiness in a minor key. Perhaps it is not all meant to be taken so seriously. He has provided football commentary with some of its most memorable phrases, second in his inventiveness only to that other big beast of the airwaves, the fur-coated lexicographer, the signet ring wrong 'un, the Great Smell of Brut's own Ron Atkinson. In the world of Lawro, a wrong-footed tackler has been "careening around like a dog on lino". To emphasise the bulk of a centre half "ooh, I bet 'e takes some feeding". And, pityingly, about an unfortunate goalkeeper who had flapped fatally at a cross "the keeper's come out, waving at his mother". His on-air falling-out with Guy Mowbray was a glorious miniature drama of passive-aggressive seething of the sort that enlivens any workplace, only played out for the delectation of millions. At the last World Cup, he presented a documentary segment about the Spion Kop, where so many boys from Lancashire died, senselessly, pointlessly, due to the blunders and arrogance of their superiors. It was beautiful, and brilliant. Sometimes, football is boring, or cynical, or boring and cynical, and it is OK to have somebody express this feeling from time to time. 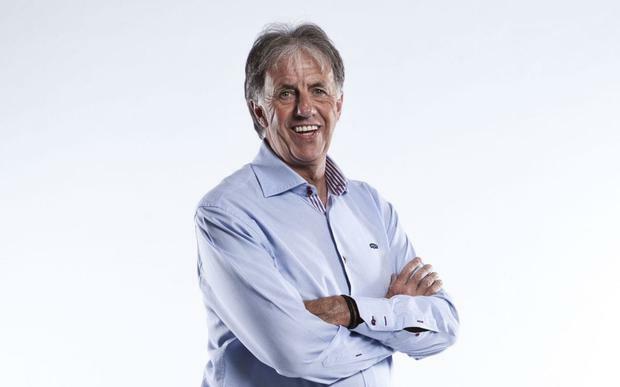 There are still a lot more football matches that do not have Mark Lawrenson on them than do: why don't we allow just a little dash of bitters in the World Cup cocktail?